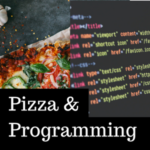 This work was conducted in part using the resources of the Advanced Computing Center for Research and Education at Vanderbilt University, Nashville, TN. We also attempt to maintain on this website an up-do-date list of publications based on your research using ACCRE that results in journal articles or conference proceedings. We are glad to assist you with the development of proposals that include the use of ACCRE resources. We will also provide a letter in support of the portion of your research and educational programs which use the facility. Please do not hesitate to contact ACCRE Administration for any such assistance, including budgetary concerns. 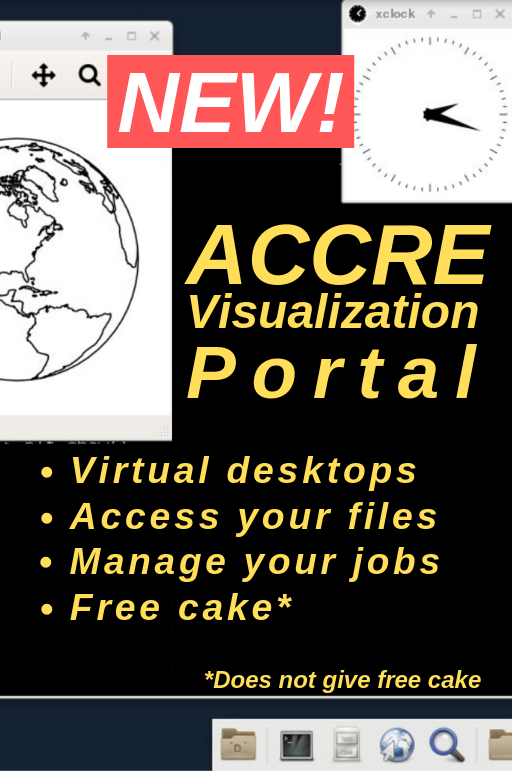 For your convenience, a general description of ACCRE facilities is available below. Please feel free to use any or all of the included text. For more technical detail, see the technical details page and FAQ. The Vanderbilt University Advanced Computing Center for Research and Education (ACCRE) is a researcher driven collaboratory, operated by and for Vanderbilt faculty. ACCRE was initially funded by a seed grant of $8.3M from Vanderbilt, with the expectation that the center would become largely self-supporting via contributions from individual Vanderbilt researchers. 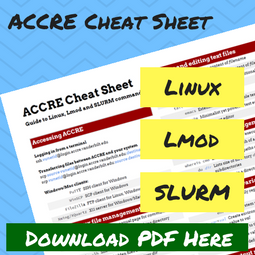 Over 800 researchers from over 40 campus departments and 5 schools have used ACCRE in their research and education programs. The computer cluster at ACCRE currently consists of over 7,000 processor cores and is growing. Funding for all hardware has come from external grants or startup funds contributed by collaboratory faculty. In addition to hardware, ACCRE has a staff of 11 support personnel who maintain and operate the cluster and provide user education and outreach. The ACCRE high-performance computing cluster has over 7,000 processor cores (providing roughly 550 teraflops of single-precision floating point performance) and is growing. Nodes each have 24 – 256 GB of memory. Compute nodes all run a 64-bit Linux OS and have a 250 GB – 1 TB hard drive and dual copper gigabit Ethernet ports. Twenty six compute nodes are each equipped with 4X Nvidia Titan X GPU cards, which provides an additional 933 teraflops of single-precision floating point performance. These nodes are also interconnected with a low-latency 40/56 Gb/s RoCE network. All compute nodes are monitored via Nagios. Resource management, scheduling of jobs, and usage tracking are handled by an integrated scheduling system by SLURM. These utilities include an “advance reservation” system that allows a block of nodes to be reserved for pre-specified periods of time (e.g., a class or lab session) for educational or research purposes. IBM’s General Parallel File System (GPFS) is used for user home and data directories and scratch space. The ACCRE filesystem provides over 1 PB of usable disk space and can sustain more than 130 Gb/s of I/O bandwidth to the cluster. The home directories of all users are backed up daily to tape. The disk arrays are attached to a SAN fabric along with the storage nodes that then exports the file system to the rest of the cluster using a fully redundant design with no single point of failure. The daily operation and maintenance of ACCRE is provided by eleven support personnel, including eight system administrators, programmers and researchers with a combination of more than 60 years of computing experience. Support for system services is provided on a 24/7/365 basis for urgent issues, with on-call pager based support on nights and weekends. Cluster uptime has been better than 95% over the past five years. An online support ticket system is used to track and resolve problems and user questions. 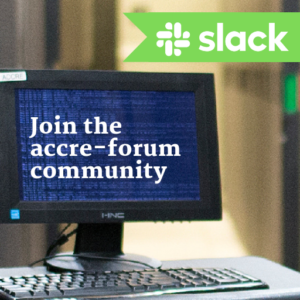 ACCRE staff are responsible for maintaining core system hardware, core system software, networking, user support, tape backup services, disk storage, logistical storage development work, education, and management/finance support. ACCRE implements numerous security measures in order to maintain the privacy of user data. For example, firewalls filter cluster access from external hosts, passwords authenticate user login, and file permissions control data access on the user and group levels. File encryption software is available on the cluster and may be applied by users on a file-by-file basis for added security. Additional security features are enabled for data falling under International Traffic in Arms Regulation (ITAR), Export Administration Regulations (EAR), Protected Health Information (PHI), Research-related Health Information (RHI), or proprietary control. The Principal Investigator (PI) of each group completes a Disclosure for his/her research group specifying whether the group will work with ITAR, EAR, PHI, RHI, or proprietary data; new group users require explicit approval from the PI. This policy ensures that the PI controls user access to any restricted files and can educate users on the group’s internal security precautions. Groups working with ITAR, EAR, PHI, RHI, or proprietary data are noted with a special designation to differentiate them to cluster administrators, and permissions on these data types are limited to group readable and writeable only. If users inadvertently leave restricted files as world readable or writeable, a script changes the permissions to ensure that only members of the appropriate group are able to read or write to these files. With the exception of users in ITAR or EAR groups, users are allowed to mount their ACCRE files to a local computer via SAMBA, which requires authentication. NFS mounting is not allowed since this method requires no user authentication.